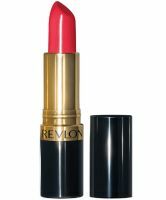 I've used Revlon's "Super Lustrous Lipstick" since I was a teenager. The color range is amazing. Some of the hues are famous--like "Cherries in the Snow," supposedly created for Liz Taylor. I love many of the shades, especially "Pink in the Afternoon" and "Fire and Ice" and "Wine with Everything" when I want more drama. Revlon has a LiquiSilk™ formula with mega-moisturizers to seal in color and softness. It does wear for a long time and feels luxurious! My 88 year old mother has worn Revlon lipstick since she was 18! I love the colors, they don't dry your lips and thy really last on your lips, except after eating. It's also fun to layer the colors to get your own customized look. Highly recommend for quality and price.